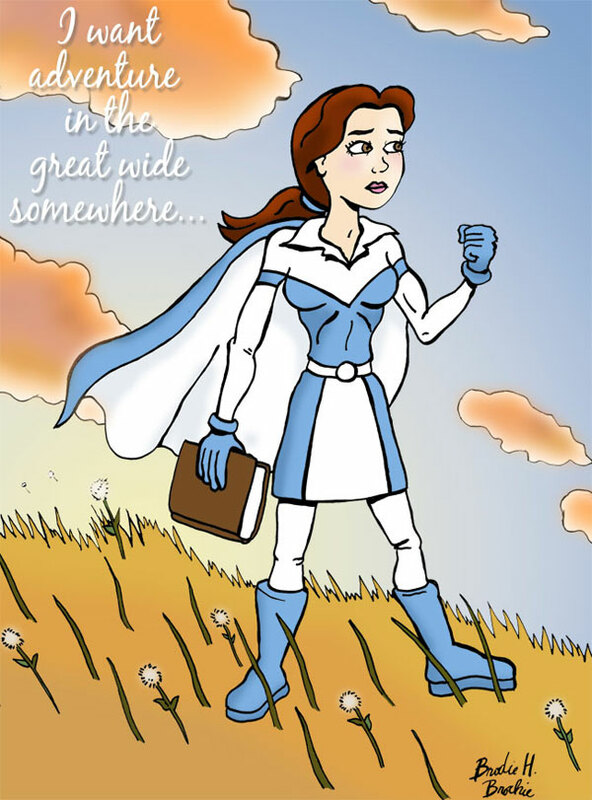 The task I set for myself: redesign the Disney princesses as superheroes, drawing inspiration from super-fashions of around the same time their animated movies came out. BELLE (AND THE BEAST): Well, with three princesses coming out between 1989 and 1992, this kind of fashion nightmare had to happen to somebody. 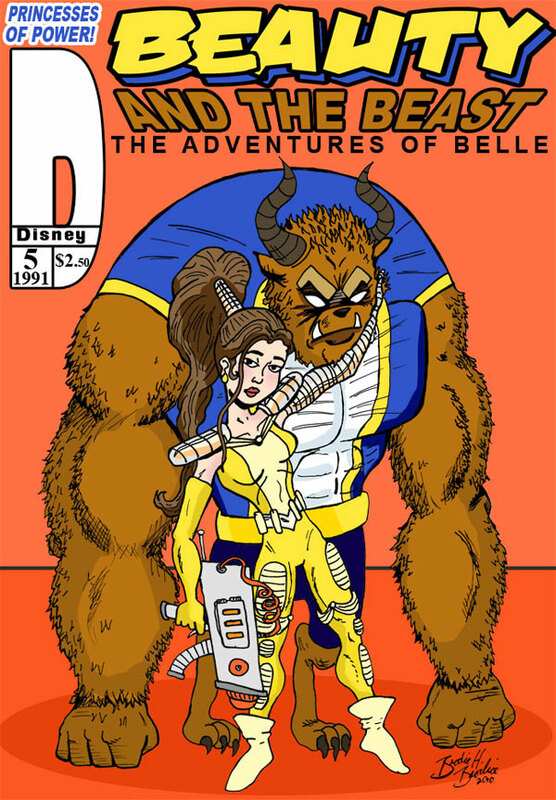 Poor Belle gets saddled with the giant shoulderpad, enormous gun, metal arm, towering topknot, unnecessary padding look that was so prevelant around that time. I stopped short of giving her a glowing, bionic eye. I just couldn't. There. Are we still friends now?